Let’s all hope this injury isn’t as serious as it looks. 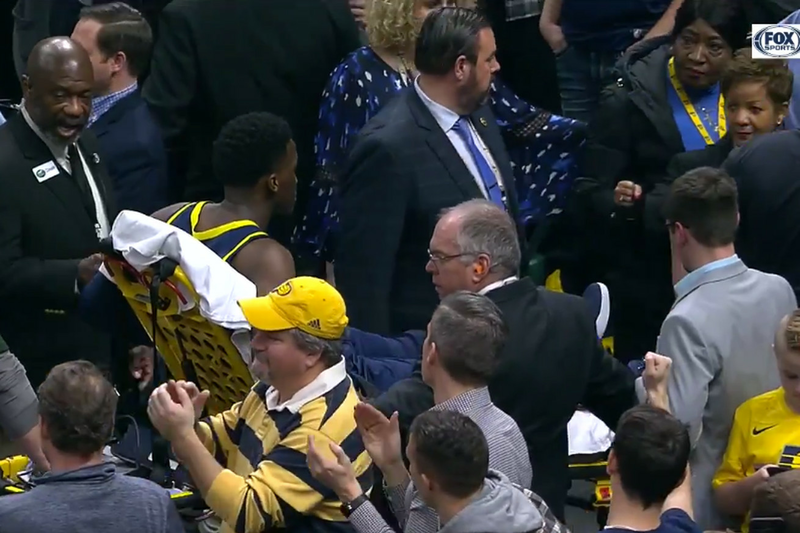 Indiana Pacers guard Victor Oladipo was carried off the court on a stretcher after a fall against the Toronto Raptors on Wednesday. It’s a knee injury that the team described as “serious,” pending an MRI on Thursday. Oladipo was trying to block a pass in transition and the player immediately had his leg covered with a towel. 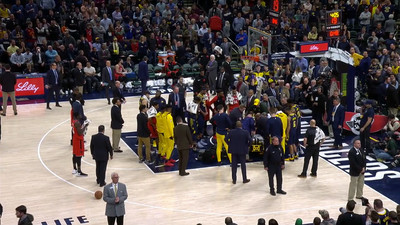 Play was stopped and he spent a good while on the ground, with teammates and medical staff surrounding him. Oladipo had tears in his eyes and gave a thumbs up as he was taken to the locker room, while the crowd chanted his name. He also had a bruised knee earlier this season that kept him out of 11 games, and this injury appears to be on the same knee. In 35 games this season, Oladipo has averaged 32.5 minutes, 5.7 rebounds and 19.2 points per game. He’s a hugely important part of that Pacers team, which sit at 31-15 on the season, second place in the Central Division. a huge, huge loss for the Pacers to lose Oladipo for any extended amount of time. He leads the Pacers in points-per-game and steals, and averages more minutes per game than any of his teammates. He’s We will update when there’s more information on the extent of the injury. Oladipo was the 2nd overall pick in the 2013 NBA Draft by the Orlando Magic, and was traded to the Oklahoma City Thunder before being traded to the Pacers in 2017.